DNA: what's in a name? 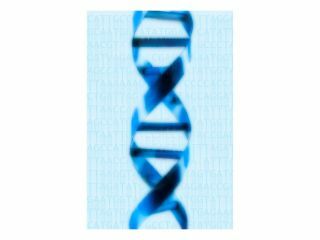 A major breakthrough in DNA has uncovered evidence that a person's surname may be embedded in their genetic information. Scientists at the University of Leicester working in the Department of Genetics have found evidence that a 'surname', as in an identifiable genetic gesture, could be written into the Y chromosome – the one that is passed from dad to son. Speaking about the study, Dr Turi King said: "A link could exist between a man's surname and the type of Y chromosome he carries. A simple link between name and Y chromosome could in principle connect all men sharing a surname into one large family tree. "However, in reality the link may not be so clear cut. Hereditary surnames in Britain are many hundreds of years old and each name may have had several founders. Events such as adoption, name changes and non-paternities would confuse any simple genetic link." Around 2,500 men took part in the research. Between them were different surnames. The study threw up a number of statistics, the most prevalent being that 70 per cent of men with rare surnames had very similar Y chromosome types. If the research proves successful, DNA left at the scene of a crime would be fed into a database and out would pop the potential surname of the criminal. Which would not only help the police in a huge way, it would also severely cut the run-time of shows like CSI. Which is a very good thing!